A new edition of the Pharmaceutical Microbiology Glossary is now available: expanded and revised. This hand reference guide clearly explains the key terms relating to pharmaceutical microbiology as applied to pharmaceuticals, healthcare, medical microbiology, cleanrooms and contamination control. The glossary has been written by Dr. Tim Sandle, an experienced pharmaceutical microbiologist. The book is ideal for students and as a reference guide for experienced practitioners. The book is structured as a handy A-Z of pharmaceutical microbiology terms and definitions. I thought you would be interested to read the top 3 articles that Heads of QA/QC, Process Development, Microbiologists and Viral Specialists are reading on the Pathogen Safety Summit Resource Centre. This interview was created in collaboration with Pharma IQ’s upcoming Pathogen Safety Summit, taking place in Munich, 18 – 20 November 2013 – Have a look at the event agenda here: http://bit.ly/PSSAgenda. I hope you find the interview valuable, please feel free to share it with your colleagues. ISO/TC 38 Textiles has introduced four new projects to develop test method standards for evaluating the electrostatic properties of textiles. Part of the justification for these projects is that there are currently no standards for evaluating textiles for contamination control purposes. ISO/TC 38 has formed a Joint Working Group (JWG 26) with IEC/TC 101 to develop these standards. In keeping with the trend towards more online content, the USP Standard is now available as an online app as a new interactive format for the online newsletter. The USP Standard can be downloaded on various mobile devices. The app can be downloaded to a mobile device through the Apple Store, Google Play or Amazon. 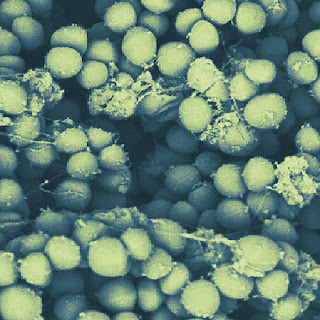 The intestinal microbiota provide protection from bacterial infections. However, when disturbed with oral antibiotics, microbiota protection is disrupted, allowing the emergence of several pathogens. How do these pathogens capitalize on the failure of the protection provided by the microbiota? Two antibiotic-associated pathogens, S. typhimurium and C. difficile, use a common strategy of catabolizing microbiota-liberated mucosal carbohydrates to facilitate their expansion within the gut (Nature, Sept. 2013). The paper, by Katharine M. and colleagues, is titled "Microbiota-liberated host sugars facilitate post-antibiotic expansion of enteric pathogens". "The human intestine, colonized by a dense community of resident microbes, is a frequent target of bacterial pathogens. Undisturbed, this intestinal microbiota provides protection from bacterial infections. Conversely, disruption of the microbiota with oral antibiotics often precedes the emergence of several enteric pathogens1, 2, 3, 4. How pathogens capitalize upon the failure of microbiota-afforded protection is largely unknown. Here we show that two antibiotic-associated pathogens, Salmonella enterica serovar Typhimurium (S. typhimurium) and Clostridium difficile, use a common strategy of catabolizing microbiota-liberated mucosal carbohydrates during their expansion within the gut. S. typhimurium accesses fucose and sialic acid within the lumen of the gut in a microbiota-dependent manner, and genetic ablation of the respective catabolic pathways reduces its competitiveness in vivo. Similarly, C. difficile expansion is aided by microbiota-induced elevation of sialic acid levels in vivo. Colonization of gnotobiotic mice with a sialidase-deficient mutant of Bacteroides thetaiotaomicron, a model gut symbiont, reduces free sialic acid levels resulting in C. difficile downregulating its sialic acid catabolic pathway and exhibiting impaired expansion. These effects are reversed by exogenous dietary administration of free sialic acid. Furthermore, antibiotic treatment of conventional mice induces a spike in free sialic acid and mutants of both Salmonella and C. difficile that are unable to catabolize sialic acid exhibit impaired expansion. These data show that antibiotic-induced disruption of the resident microbiota and subsequent alteration in mucosal carbohydrate availability are exploited by these two distantly related enteric pathogens in a similar manner. This insight suggests new therapeutic approaches for preventing diseases caused by antibiotic-associated pathogens." For further information on this topic, see Qiagen. The World Health Organization has estimated that at least three-quarters of drug-resistant tuberculosis cases have not been detected. The news comes from the World Health Organization's (WHO) latest Global Tuberculosis Report. The report suggests that less than 25 percent of drug resistant cases of tuberculosis have been detected in 2012. This prevalence means that scientists are are still very far away from making real progress against this killer disease. Tuberculosis (TB) is a common, and in many cases lethal, infectious disease caused by various strains of mycobacteria, usually Mycobacterium tuberculosis. Tuberculosis may infect any part of the body, but most commonly occurs in the lungs. Globally, tuberculosis is the second most common cause of death from infectious disease (after those due to HIV/AIDS). Commenting on the report, Mario Raviglione, director of the WHO Global TB program, said to Nature magazine: "the debt toll of tuberculosis, a disease that is preventable and curable, is far too high." There is a positive that can be drawn from the report: the rate of new tuberculosis (TB) cases and the percentage of people who die from the disease has continued to decline. Spotlight on a new area of microbiology and antimicrobials: the SeaBioTech project. The SeaBioTech project, started in 2012, is intended to close some of these knowledge gaps by looking in the seas and oceans around the globe for life forms with novel properties. The aim is to find raw material for the world's biotechnology industry, with a particular emphasis on antibiotics and other medical compounds. The plan is for the project to sample organisms from a wide range of marine environments, ranging from the cold Atlantic sea off Scotland to the volcanically-active region near the Mediterranean island of Santorini. There has been very little published information relating to the “typical” microorganisms recovered from cleanrooms or clean environments. This can cause difficulties for the pharmaceutical manufacturer when assessing the results and range of “microflora” recovered from environmental monitoring activities. Microorganisms are found in pharmaceutical ingredients, water for pharmaceutical use, the manufacturing environment, intermediates, and in finished products. On this subject, Tim Sandle has written an article for the Institute of Science and Technology. If you are interested in reading the article, please contact Tim Sandle. Recently the American Pharmaceutical Review hosted Internet based presentation on the use of rapid methods to help with the risk assessment of pharmaceutical processes, focusing on rapid methods. The recording is now available for free. β-Glucans (beta-glucans) are polysaccharides of D-glucose monomers linked by β-glycosidic bonds. Glucans are important because they can react with certain lysates and cause interference with the LAL test. Furthermore, glucans can, in certain circumstances, cause physiological effects in humans (β-glucans are known as “biological response modifiers” because of their ability to activate the immune system). To discuss the implications on both the LAL test and in relation to pharmaceutical products, Tim Sandle has written an article for the American Pharmaceutical Review. The article has been published as a special supplement ‘Further Pharmaceutical Microbiology’. The human body is a composite of human cells that survive interdependently alongside complex, interconnected microbial populations, their genetic elements (genomes), and environmental interactions. Collectively, this is known as the human microbiome. The further of information about the human microbiome has a significant impact upon pharmaceutical microbiology. This includes the development, production, and use of therapeutic products, as well as the controlled environments within which medicinal products are produced. To explore these themes further, Cara Wilder, Tim Sandle and Scott Sutton have written a review article for the American Pharmaceutical Review. The article can also be viewed on-line. Scientists at the Max Planck Institute for Biophysical Chemistry in Göttingen have identified a potential new target to fight bacteria: the factor EF-P (elongation factor P). EF-P plays an important role in the production of proteins that are essential for the virulence of EHEC or salmonellae. The researchers' findings suggest that drugs blocking EF-P would impair the fitness of pathogenic bacteria and might lead to a new generation of specific antibiotics that can combat infections caused by drug-resistant pathogens. The US Food and Drug Administration (FDA) has released a new guidance from the International Conference on Harmonization (ICH), an international pharmaceutical regulatory harmonization group, focused on testing products for the presence of bacterial endotoxins. The ICH is a regional harmonization group composed of the US, EU and Japan, with other countries, such as Canada, participating in a voluntary capacity. The aim of the group is to allow the regulatory processes of each to better align with those of the others, thereby allowing greater efficiencies for industry. This is perhaps best exemplified by the common technical document, which permits a company to submit a pharmaceutical dossier to all three countries with only minimal changes to a single module of the submission format to account for minor regional differences. That standardization process also extends to certain supporting texts, such as the regional pharmacopoeias of the ICH regions. One of ICH's related guidelines for pharmacopoeia standards harmonization, Q4B: Evaluation and Recommendation of Pharmacopoeial Texts for Use in the ICH Regions, is actually a set of many guidelines, including the latest, Annex 14: Bacterial Endotoxins Test General Chapter. The concept of the annexes is relatively straightforward: align pharmacopoeial texts among ICH's three main regions to make it easier for companies to adhere to standards across borders. For bacterial endotoxin testing, that means meeting the European Pharmacopoeia's (Ph. Eur.) 2.6.14 Bacterial Endotoxins, the Japanese Pharmacopoeia's (JP) 4.01 Bacterial Endotoxins Test, and the US Pharmacopoeia's (USP) General Chapter <85> Bacterial Endotoxins Test. Per FDA's new guidance, this means that manufacturers seeking to rely on endotoxin data for an application may submit testing that complies with any of the three standards. However, regulators cautioned that they "might request that a company demonstrate that the chosen method is acceptable and suitable for a specific material or products, irrespective of the origin of the method." The final guidance was published on 11 October 2013. The discovery of a new form of the deadly botulinum toxin gets published. However, its sequence is hidden. This is the first time that the sequence of a newly discovered protein has not been revealed in a science papers that announces the finding. Researchers at the California Department of Public Health in Sacramento discovered the protein, a new type of the extremely dangerous botulinum toxin, lurking in the feces of a child who displayed the symptoms of botulism. This is the eighth form of botulinum toxin recovered from the bacterium Clostridium botulinum. 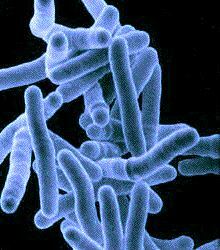 Clostridium botulinum is a soil bacterium. The spores can survive in most environments and are very hard to kill. They can survive the temperature of boiling water at sea level, thus many foods are canned with a pressurized boil that achieves an even higher temperature, sufficient to kill the spores. The bacterium is perhaps best known for its neurotoxins, subdivided in types A-H, that cause the flaccid muscular paralysis seen in botulism. This is a serious food borne disease, and can be fatal. However, the bacteria are also the main paralytic agent in Botox. C., where weak forms are used by the some wealthy people to continue 'look young' by paralyzing their skin. The global botox market is forecast to reach $2.9 billion by 2018. The botulism is of such toxicity and will be untreatable against existing medications. For this reason, the DNA sequence of the new botulism toxin will remain 'under wraps' until an antidote is developed, according to New Scientist magazine. This followed detailed consultations with representatives from U.S. government agencies, including Centers for Disease Control and Prevention and the Department of Homeland Security. The findings have been published in two reports on the website of The Journal of Infectious Diseases. One paper is titled "A Novel Strain of Clostridium botulinum That Produces Type B and Type H Botulinum Toxins"; and the second paper is called "Molecular Characterization of a Novel Botulinum Neurotoxin Type H Gene." Food and Drug Administration has approved a new injectable drug from Human Genome Sciences to treat inhalable anthrax. The drug is called raxibacumab. It will provide an alternative to antibiotic drugs that are currently the standard treatment for anthrax infection. Inhalation anthrax occurs when people breathe in the spores of Bacillus anthracis bacteria. The infection is treated with a 60-day course of antibiotics. Raxibacumab is a manmade protein that blocks toxins produced by anthrax. It mimics naturally occurring antibodies in the human body that find and destroy harmful substances. The FDA approved the drug based on effectiveness studies in monkeys and rabbits that were infected with Anthrax. The drug's safety was tested in 326 healthy human volunteers. The drug was developed by GlaxoSmithKline PLC's Human Genome Sciences. People living near pig farms or agricultural fields fertilized with pig manure are more likely to become infected with methicillin-resistant Staphylococcus aureus (MRSA) bacteria, new research suggests. The link between pig manure and MRSA follows on from previous research, highlighted by the Digital Journal, that found that livestock workers are at high risk of carrying MRSA, compared to the general population. MRSA is a strain of staphylococcus bacteria that is resistant to methicillin and certain first-line antibiotics called beta-lactams. The bacteria can cause serious infections of the skin, blood, lungs and bones. Infections with drug-resistant strains, like MRSA, can be particularly difficult to treat. For the new research, scientists examined the incidence of infections in Pennsylvania. In Pennsylvania manure from pig farms is often spread on crop fields to comply with state regulations for manure disposal. In undertaking the study, researchers reviewed electronic health-care records from patients who sought care from the Pennsylvania-based Geisinger Health System. The researchers examined whether infected people lived near pig farms or agricultural land where pig manure was spread. They found that people who had the highest exposure to manure (calculated on the basis of how close they lived to farms, how large the farms were and how much manure was used) were 38% more likely to contract MRSA. The finding was based on analysis of skin, blood, and sputum samples. The pig-manure / MRSA research has been published in the journal JAMA Internal Medicine. The title of the paper is "High-Density Livestock Operations, Crop Field Application of Manure, and Risk of Community-Associated Methicillin-Resistant Staphylococcus aureus Infection in Pennsylvania." Since the original publication of these guidelines, a number of new developments and concepts, including, for example, risk management, have influenced good distribution practices (GDP) principles and processes. A number of recent incidents have created awareness of the need for further improvement of the present guidelines. Researchers at the University of Arkansas have discovered and characterized a new organism that will help scientists understand the molecular mechanisms and ancestral genetic toolkit that enabled animals and fungi to evolve into diverse, multicellular life forms. Jeffrey Silberman, a professor of biological sciences, isolated a new unicellular anaerobic eukaryote, and worked with former graduate student Matt Brown and others in the lab of Andrew Roger at Dalhousie University in Halifax, Nova Scotia, Cananda, on the genomics and description of this organism, which they named Pygsuia biforma. Brown, now a biology professor at Mississippi State University, is the lead author of the study, which was published August 28 in Proceedings of the Royal Society B (Biology). To characterize the new organism, which was collected from brackish sediment in Prince Cove in Marstons Mills, Mass., the researchers described the morphology and sequenced the protein-coding genes of the organism to construct a 159-protein matrix for phylogenetic analyses. Phylogenetics is the study of the evolutionary relationships among groups of organisms. The researchers found that the organism resembled two types of a breviate, which is a unicellular eukaryote, but distinguished itself with its conspicuous, long flagella. Most importantly, the phylogenetic tree established the organism as a distant but unequivocal relative to a "supergroup" of eukaryotes that include fungi and animals. It provides a glimpse of the various components of cell-to-cell adhesion, which is a requirement for multi-cellular organisms. The organism also possesses components of the integrin-mediated adhesion complex, which in animals plays a key role in cell-to-cell signaling and adhesion to the extracellular matrix. The genus name for Pygsuia biforma is derived from part of the University of Arkansas Razorbacks sports cheer, "Wooo Pig Sooie," because it has a row of structures resembling the dorsal bristles of razorbacks, which are feral pigs. "Pyg" replaces "pig" as a play on the Latin Pygmae, a mythical race of pygmies, a reference to their small size, and "sui" replaces "sooie" for brevity and a reference to the animal family to which suids, the ancient biological family of pigs, belong. Consequently the genus name also means "little pig" in mock Latin. The species name, biforma, is derived from the presence two distinct cell forms that are observed in the life cycle. A culture sample of Pygsuia biforma has been submitted to the Smithsonian Institution. Scientists from New York University have now developed a sophisticated assay to track cell growth at very low nutrient concentrations. The assay uses time-lapse microscopy to monitor individual yeast cells undergoing a small number of divisions to form microcolonies. The assay can measure the lag times and growth rates of as many as 80,000 individual microcolonies in a single 24-hour experiment, opening up a powerful new high-throughput tool to study the complex interplay between cell growth, division and metabolism under environmental conditions that are likely to be ecologically relevant but had previously been difficult to study in the laboratory. The researchers studied growth rates and lag times in both lab strains and wild yeast by varying the amount of its prime carbon food source, glucose. They confirmed the prediction made over 60 years ago by Noble-prize-winning biologist Jacques Monod regarding changes in microbial growth rates with limited nutrients (the Monod equation). They also found significant differences among strains in both the average lag response (the amount of time it takes to transition from cell quiescence to restarting cell growth) and average growth rates in response to different environmental conditions. In addition to average differences between strains and conditions, the powerful assay revealed metabolic differences among cells of the same strain in the same environment. Moreover, yeast strains differed in their variances in growth rate. In 2012 the FDA issued their long awaited guidance relating to pyrogen and endotoxin testing. The document has important implications for conducting the LAL test and for assessing products and processes for pyrogenic substances. As an introduction to the document and to set the context, Tim Sandle has written a review article for the GMP Review. If you are interested in obtaining a copy, please contact Tim Sandle. Pharmaceutical Microbiology is pleased to be a media partner with the 2013 Pathogen Safety Summit. Following the success of last year’s crisis management session, this year’s meeting again enables you to calmly pool, apply and receive feedback on what to do when contamination is reported. In addition, round-table discussions and workshops distil the essentials of identifying, understanding and responding to in silico, in vitro and in situ results. Join us in Munich to apply lessons learned by regulators, industry experts and academic representatives on avoiding, detecting and removing contamination. Researchers at the University of North Carolina School of Medicine have identified a sensor pathway inside cells. The research indicates that both exterior and interior sensors work together to detect the same component of bacterial cell membranes: lipopolysaccharide (LPS). By showing how the immune system distinguishes between suspicious activity and real threats, the study could lead to new therapies for septic shock -- when the immune system overreacts to a bacterial infection to such an extent that it causes more harm than good. The body responds to a bacterial infection by increasing blood vessel permeability near the area under attack, which allows immune system cells to leave the bloodstream and seek and destroy the bacteria. Fluid also leaks into the area surrounding the infection, causing characteristic swelling. This is beneficial in fighting infection, but when the infection gets out of hand and these immune response occur throughout the body, blood pressure plummets, overtaxing the heart and leading to organ failure and often death. This syndrome is known as septic shock. About half of the cases of septic shock are caused by bacteria that produce LPS, also known as endotoxin. In fact, much of what is known about endotoxic shock comes from studying animals injected with high doses of LPS. A new study has suggests that local domestic animals are unlikely to be the major source of antibiotic resistant Salmonella in humans. The result comes from a detailed study of DNA from more than 370 Salmonella samples collected over a 22-year period. By studying the genetic variation in the Salmonella bacteria and their drug resistance genes, researchers found that distinguishable bacterial populations exist in human and animal populations living side by side. The two key findings from the research were: first, the Salmonella bacteria largely remained within their original host populations and second, there were more varied combinations of drug resistance in the human-infecting bacteria. Pharmeuropa is an EDQM publication. Draft monographs are published in Pharmeuropa for public enquiry prior to publication in the European Pharmacopoeia (or supplement). Biological reference preparations (BRP) and chemical reference substances for biologicals. Minor editorial changes have also been made throughout the text. It is proposed to remove EDTA from the dilution buffer because its presence has been reported to inhibit the ecarin-dependent coagulation factor II activation and cause a decrease in the sensitivity and precision of the assay. An instrument similar to those used on Earth by art detectives and to sense explosives at airports will be taken into space for the first time by ExoMars, the European Space Agency's mission to Mars in 2018. This Raman spectrometer will help space scientists hunt for traces of Martian life. This is according to EPSC. Astrobiologists have shown that Raman spectroscopy can be used to detect micro-organisms even after they have been damaged by exposure to very high levels of radiation, as is encountered on the Martian surface. Unlike Earth, Mars has no substantial atmosphere or global magnetic field, and so is completely unprotected against the flood of energetic radiation particles from outer space. This cosmic radiation is a problem for human astronauts, but also for the survival of simple life -- or even signs of its previous existence -- in the martian ground. Dr Lewis Dartnell, of the University of Leicester, who will be presenting the results at EPSC 2013 said: "Raman spectroscopy is a wonderfully sensitive and versatile technique. It can reveal details of the minerals inside rocks, and so what the micro-environment for life is, but we can also use it to detect organic molecules and signs of life itself."